If you own an apple smartphone like the iPhone or iPad and you want to switch to other non apple devices like the Android or windows phone, then it's advisable to turn off iMessage before you switch. 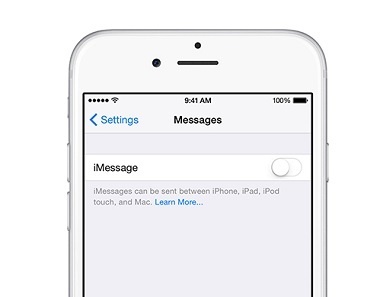 Turning off iMessage will make it possible for you to receive text messages sent to you from an iDevice even if you are not using an apple device anymore. The procedure is pretty straightforward and you can check out the steps below. => Make sure your SIM card is in your iPhone. => Turn off iMessage and go back to Settings. => Turn off FaceTime and you can now exit the settings. If you are no longer with your iPhone or iPad, then you can turn off iMessage by visiting the Apple Website.